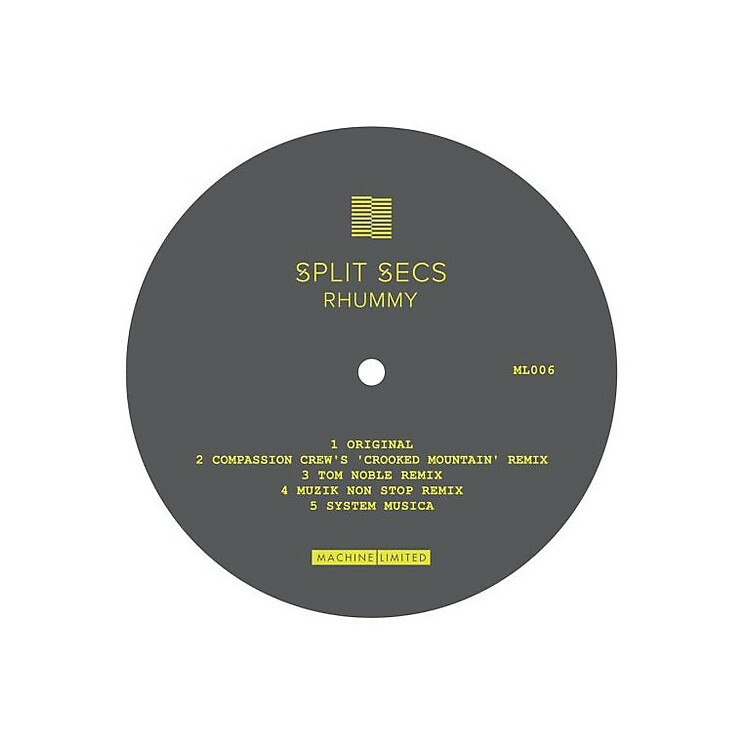 Release Date:10/28/2016;Notes:Los Angeles duo Split Secs present Rhummy, a seductive foray into techno-tinged, controlled madness. The original mix of "Rhummy" is a moody, lurching and low-slung thing, with vacuum-packed kick drum rolls under skittering hi-hats and grinding synth textures. Dublin's Compassion Crew add a whispered, and generally unsettling, vocal snippet to the original. Tom Noble delivers a punchy hybrid of melodic techno and old school NY/NJ garage bathed in a wash of bubbling synth work. "System Musica" is a Latin-infused, techy bounder that will sound as good in San Antonio, Texas as it does in San Antonio, Ibiza.